With two unconnected murders to solve, a missing detective to find and life at home under increasing pressure, Detective Inspector Jack Dylan’s list of things to do is getting out of control. Long hours are part of the job, but does he have the time to figure out the pieces to the crime jigsaws, and save his relationship? The young woman’s unidentifiable body is found in dramatic circumstances. A harrowing murder of a small child adds to Dylan’s workload plus a detective sergeant who it seems has lost his focus in life. With the pressure mounting, Dylan has to solve the murder of Liz, a young woman found burned alive in a public park. He also has to find out where half a million pounds of the young woman’s money has gone and how his missing sergeant may be involved in the whole sorry mess. Usually the search for the murderer begins with the immediate family but the dead woman’s husband is in prison. 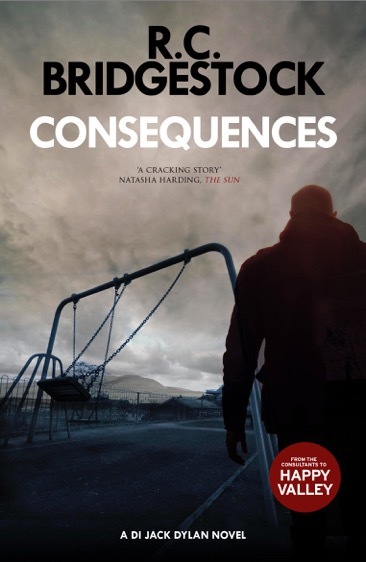 CONSEQUENCES shows the steps the detectives must take to find the answer to the question – who killed Liz?